Here at The Baby Gift Co we create personalised clothing and celebrate that each item is as individual and unique as the person it is for… but matching can be ever so cool as well!! Hunting for the perfect Fathers Day gift can be a task – you want something more thoughtful than just the generic mass-produced items you find on the high street – it’s the King of the family, after all, you want to get it just right! 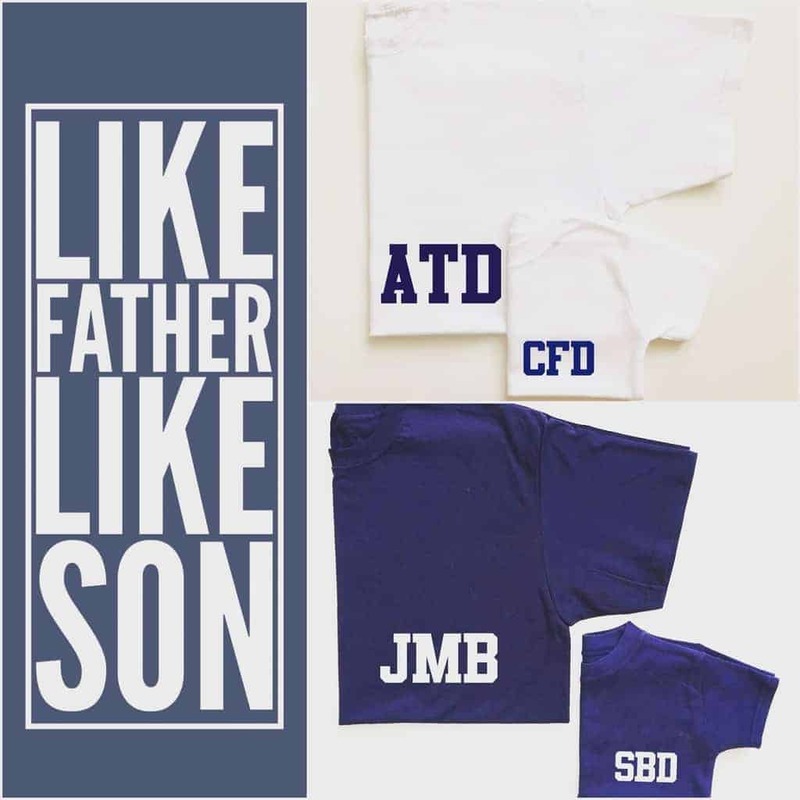 Which is why we have put together this cute matching Mini Initials T-Shirt gift set, complete with a matching one for Dad. Each set comes beautifully gift wrapped and presented in a box printed with a personal message so you can keep it for years to come to keep little treasures gathered in the future; ticket stubs, receipts, photos…. memories. As a business we pride ourselves on the fact we are constantly learning, listening and evolving and at the forefront of every decision we make is you, the customer. We have recently redesigned our website to make it even easier to browse, design and preview your items on any device you happen to be on. We’ve removed our domestic shipping charges and opened up our products to a global audience, offering free international shipping on orders over £50. To help you celebrate Father’s Day, The Baby Gift Co have kindly given us one of their Like Father, Like Son gift sets to giveaway.